Insul SAF M5000 Insulated Pans for Spandrel Panels SAF – Southern Aluminum Finishing Co, Inc.
SAF Metal Fabrication introduces a new panel product for our insulated panel product line: Insul SAF M5000, our Factory fabricated Spandrel Pan that incorporates mineral wool, and is designed to save energy in opaque glazing areas of exterior building envelopes. 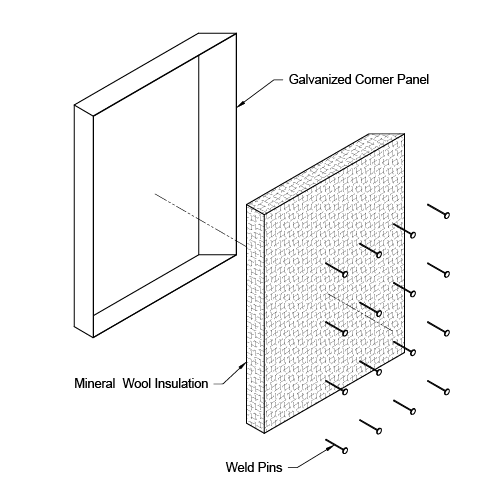 Mineral wool insulation in the spandrel pan can withstand temperatures above 2000° F, is moisture resistant, provides acoustical noise damping, and qualifies for LEED Green Building Credits. 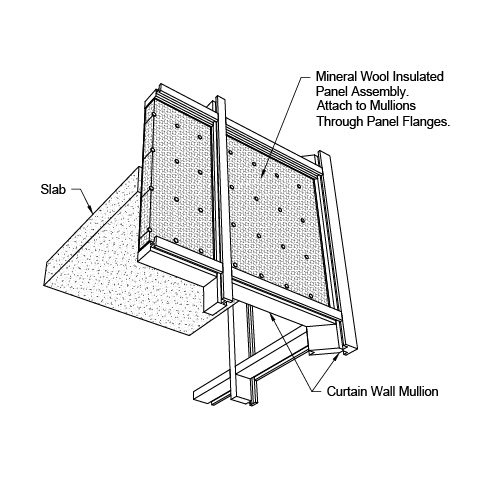 Factory fabrication of Spandrel Panels, in addition to ensuring consistent quality control, eliminates on-site issues, such as special mounting clips and wasteful insulation handling during construction. The galvanized steel SAF Spandrel Pans can be custom fabricated to fit openings of various spandrel area shapes and depths. 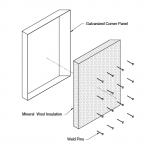 InsulSAF M5000 Spandrel Pans can also be fabricated with 3000 Series Aluminum Alloys. 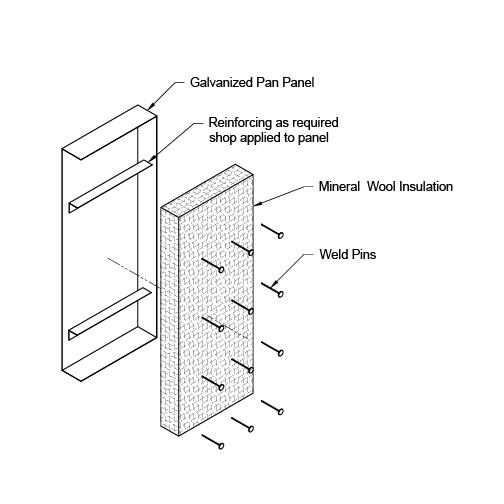 Pan insulation is secured by resistance welded pins. 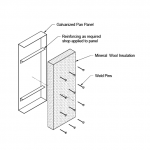 Custom SAF Spandrel Pans can be scheduled to arrive on site ready for installation. 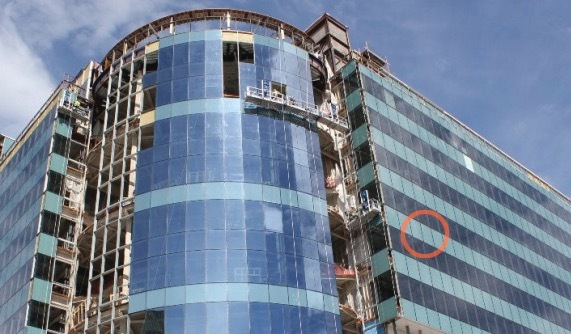 They attach to the cladding frame work using standard mechanical fasteners. 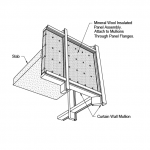 Include SAF on your bid list for plate architectural products. For additional information or to contact a company representative call (770) 942-1207 or email at info@saf.com.